Some may argue that Luis Ortiz is a good match-up for Deontay Wilder heading into a blockbuster unification contest against Anthony Joshua. But not David Haye. The ‘Hayemaker’ believes that Wilder (39-0, 38 KOs) will ‘smash’ Ortiz (28-0, 24 KOs) in the first quarter of their fight for the WBC heavyweight showdown, scheduled to be held in Brooklyn on March 3. “Deontay is going to smash Ortiz in three rounds. 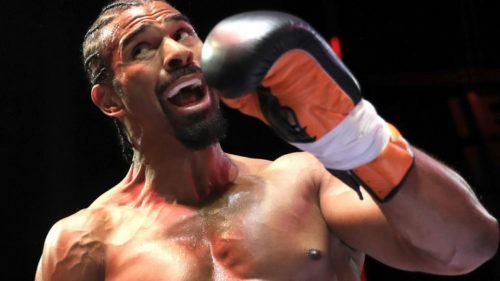 He (Ortiz) is going to get knocked out real quick,” Haye told FightHype.com. Wilder will hope to prove Haye right as a bad night against Ortiz might cost him the highly-awaiting fixture against Joshua, the IBF, WBA and IBO holder of the division. Meanwhile, Haye (28-3, 26 KOs) himself is preparing for a rematch against fellow Brit Tony Bellew (29-2-1, 19 KOs) at the O2 Arena come May 5. Bellew had won the last time around, stopping Haye in the 11th round.